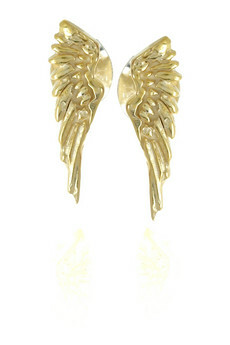 We have been on an online shopping binge for the past couple of days and we found these little wings earrings by Giles & Brother. Don't be fooled by the picture. They are actually quite dainty and can add the right amount of edge to any sophisticated outfit.